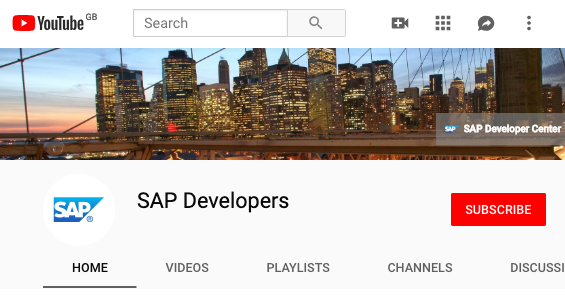 Starting mid January 2019, I’ll be live streaming weekly, on SAP development topics. The show is called “Hands-on SAP dev with qmacro” and will be broadcast on my Twitch channel on Fridays. This post tells you what else you might need to know. If you’re looking for information on the upcoming episode, go straight to the series page on Twitch, or jump down to the Upcoming Episode section below. If you’re looking for the recordings of the live streams, jump down to the Catch the replays section below. This post has multiple sections – here are quick links to them all: Background | Live streaming | Plans for the first episode | The schedule | How to watch | Catch the replays | Plans | Feedback | Wrapping up | Upcoming episode | Updates. This post is also available via the short link http://bit.ly/handsonsapdev. One subject I’ve been thinking about for a while, especially in the context of my Monday morning thoughts series last year (in particular the learning continuum, growth is upwards and learning media and mechanisms posts) is how I take on new information. One of the ways is to watch videos, and for me that is a medium that is easy and enjoyable to consume. A wonderful bonus for me is the side effect of getting inside the heads of developers, learning, on a high level, how they operate, and noticing, on a low level, how they work on a day to day basis. On many occasions, the things I’ve learned have been serendipitous and only partially connected to the subject at hand. How a developer goes about editing, what tools they use, and what workflows they employ, deliberate or otherwise. One of the consumption styles in this vein is to watch live streams, where folks work on stuff, figuring things out, building up solutions piece by piece, or sharing knowledge or experience in specific areas … in full view of an audience who are present there with that host, over the Internet. Moreover, in the live streams I’ve joined, it’s two-way. The viewers can interact with each other and with the host, via chat and other mechanisms. It’s a fascinating idea, and one that caught my imagination last year, so much so that I thought I’d give it a try. Setting up a live stream involves a lot of jiggery pokery, a lot of stuff that’s new to me, so I thought I’d take my first steps into this new world with a simple first episode, so that I can keep an eye on things (such as the streaming mechanics, right now it feels like I’m getting a whole load of plates ready to spin at the top of thin poles) and start off at a gentle pace. There are two streaming schedules – the regular weekly Friday slot and the fortnightly Wednesday slot. I stream regularly once a week on Fridays. It’s a one hour slot. I’m a morning person, which is one of the reasons the regular streaming slot is at 0800 UTC+0 (UK time). Of course, regardless of time, you are all welcome to join. But there’s no way I can cover all timezones around the globe with a single slot, so I’m going to make sure each stream is are recorded for replay at a later date too – see the replays section elsewhere in this post. You can sign up for an account, and follow me. There are all sorts of features that Twitch has, far more than I can explain here (partly because I don’t know what they all are!) but the main feature for us is the ability to take part in discussions during the stream, with the chat facility. You can watch the live stream, and use the chat interface to converse with me and the other viewers. I’ve set my stream up so that the chat is also visible in my stream directly. If you missed a live episode, you can watch the recordings. On my Twitch channel you’ll see a “Videos” link where you can get directly to the replays. Annotated links: For each recording on YouTube, there will be annotated hh:mm:ss links so you can jump straight to the part you’re looking for. One annotations blog post per episode – and the links are in the rightmost column in the table. This tweet shows an example of how you might use the annotated links feature. Therefore, we use the SAP NPM registry to find & install the command line tool ‘cds’ that we can use to generate and manage Node.js based CAPM projects and also install the CDS language support for the VS Code editor, which comes in the form of an VS Code extension. Then we set up our Cloud Foundry environment on SAP Cloud Platform and install the ‘cf’ command line tool which we can use to interact with that environment. We follow the “Create a Business Service with Node.js using Visual Studio Code” tutorial on the SAP Developers tutorial navigator and start to explore what CAPM and CDS can do for us. Ep.3 – Special guest edition: Interview with core CAPM developers from the mothership! This episode is rather special, in that I interview Christian Georgi from the core CAPM development team at the mothership in Walldorf. We talk CAPM, have some Q&A Christian shows us some cool live demos. We take a look at how we can use VS Code debugging facilities to debug CAPM services, and also start to explore the cds command line tool’s REPL (Read Evaluate Print Loop) environment. We continue working our way through the tutorial “Create a Business Service with Node.js using Visual Studio Code” on the SAP Developer Centre. We’re pretty much at the end of the tutorial as it stands. But there’s always more to learn by hacking on it, to tweak and extend it. We do that in this episode, uncovering more features of CAPM and CDS. One of the things we looked at briefly in the previous episode was the language server protocol (LSP) implementation for the CDS language, in the VS Code extension. In this midweek episode we explore getting a Vim LSP client working and connected to the cds-lsp server. In Episode 6 we set out creating our mini Northwind service, called Northbreeze, and started to write some code to grab the Northwind data, exploring Axios as an HTTP client library that supports promises and (therefore) dot chaining. In this episode we continue on towards completing this code to produce CSV files as input to our CAP model, exploring pure functions along the way. Following the previous episode there’s a bit more work to do to finish off the data retrieval mechanism we have been building to extract data from the original Northwind service and turn it into CSV files that can be loaded into a persistence layer with ‘cds deploy’. In this episode we finish this off and load the data. In this episode we have SAP developer Chris Whealy as a guest, taking us through his personal project making use of Geonames data and built using CAP with Node.js. Along the way we look at Chris’s programming style which takes a lot from the functional programming world. In the previous episode (Ep.12) we looked at a simple CSV filter utility. In this episode we improve it by giving it the ability to read from STDIN and write to STDOUT so it plays nicely in pipeline contexts. Then we’ll be ready to use it to finalise our data for our CAP based “Northbreeze” service. After a pleasant detour hacking together some CSV related utilities with Node.js we return to our Northbreeze CAP project and take a look at some of the service level features, looking how they can complement the data model, and playing around with some of the annotations available to us, to see what effect they have. We also take a look at fixing the issue we had with the boolean property :-0 back in Ep.10. This session comes to you from the location of the SAP CodeJam event in the AOK offices in Frankfurt. In this episode we investigate at a few more cool features of CAP and CDS and start to look at a user interface for our Northbreeze app, and even get to serve it from the CAP runtime itself. Following on from the previous episode broadcast from the SAP CodeJam in Frankfurt, we continue moving towards a first UI using a sandbox Fiori launchpad and a basic Fiori elements app driven by a small set of annotations. We take a look at the simple UI that we created in the previous episode and look a little bit behind the scenes, to learn a bit more about annotations, OData calls and more. 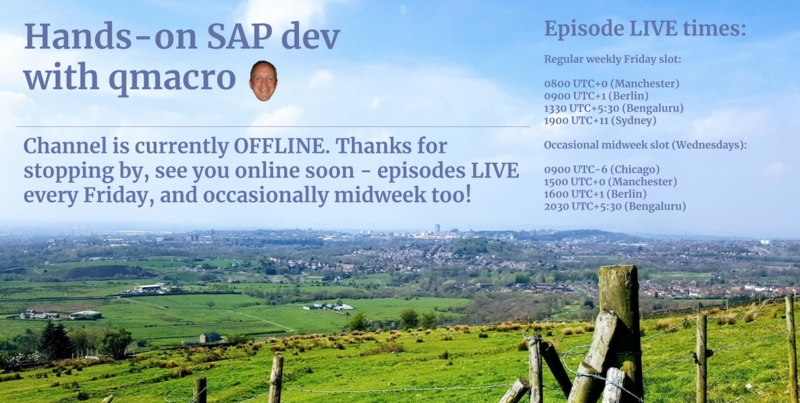 This being a midweek episode, we allow ourselves a little bit flexibility and look into developer tooling; we look a bit more at syntax highlighting in Vim, some more LSP usage and try to come up with a workflow for setting up to answer CAP questions on the SAP Community Q&A site. Following on from Ep.18 where we took a first look at CAP with Java, in the SAP Web IDE, we continue our journey and look more closely at adding hooks and debugging. As a bonus, this will be again led by our friend and my colleague Max Streifeneder! Once we’ve got our feet wet with the first episode, I plan to look at the Node.js flavour of SAP’s Cloud Application Programming Model (CAPM) (see Application Programming Model – start here) over the following weeks, but reserve the right to digress and follow interesting paths that lead from there. And who knows what we might cover beyond that. I’ve already got guests lined up to join us in a near future live stream, direct from the awesome core team that’s designing and building out CAPM inside the mothership at SAP. Keep an eye out for details of the subsequent live stream episodes to catch who that is, and when! If you’ve managed to catch a live stream, or watch a recording, I’d love to hear from you, in the form of feedback at an episode-specific level. At the end of each episode I’ll remind you of the feedback form link, but you can visit the form any time. Note that I’m looking for episode-specific feedback, which means that you should select (from a dropdown) the episode you’re giving feedback for. The feedback form is here: https://bit.ly/handsonsapdev-episodefeedback – thank you in advance! This post is already longer than I intended (perhaps partly down to the excellent Three’s Company brew I just enjoyed, from a local collaboration between Cloudwater, Magic Rock and J.W. Lees) so I’ll finish off by reminding you that the initial episode of this venture, episode zero, is this coming Friday 18 Jan at the time given above (relative to your local timezone). I hope to see you online, and please don’t hesitate to take part in the discussion when you join! Get a reminder for this episode by checking out the event on Twitch, via the “Hands-on SAP dev with qmacro” series info page or by adding this series’ public Google Calendar to your own calendar system. 17 Jan 2019: I’ve created a public Google calendar that you can subscribe to and from where you receive event reminders, which are set to fire 1 day and 30 mins before the event starts: Hands-on SAP dev with qmacro Calendar. I’ve also set up a series on Twitch and I’ll define each episode as an event in this series. You can go to Twitch, see the upcoming events, view the details and request reminders. 23 Jan 2019: Added an “Upcoming episode” section. 25 Jan 2019: Added a “Feedback” section. 12 Feb 2019: Reworked the “Schedule” section to include the new occasional midweek slot schedule and moved the episode replay links into the “Replays” section. 13 Feb 2019: Added the bit.ly link to this post (http://bit.ly/handsonsapdev). 20 Feb 2019: Reworked the Catch the replays section, adding links to the new annotated descriptions. 28 Feb 2019: Improved the Catch the replays section, adding each episode’s description, and separate links to the recordings on Twitch. Eventually we will have links to the recordings on YouTube also. 05 Mar 2019: Added a note about the annotated links blog posts to the Catch the replays section. 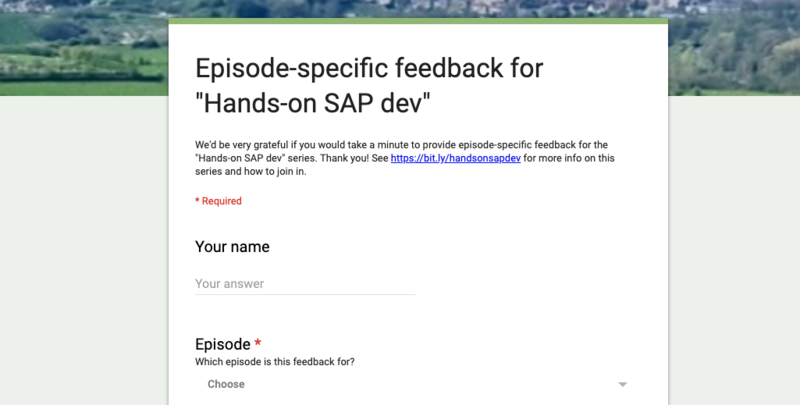 05 Apr 2019: Updated the Feedback section with a link to a new episode-specific feedback form. 12 Apr 2019: Changed the occasional midweek slot to a regular fortnightly cadence. This is cool! I’ve been thinking about doing some live streaming of architecture conversations and diagrams, and twitch seemed a great platform. I’ll be curious to see how you get on. Thanks Ian. I’d love to chat more to you about this, there’s a lot I’ve learned already, and Twitch seems so far a great platform for this sort of stuff indeed, the gold standard, one might say. Hi DJ. I just watched the stream for the first time this morning and I only have one word: AMAZING! Digging into what’s behind the tutorials is super interesting and useful, I really like this format and I can’t wait for the next stream! Hey Pierre, first of all thanks so much for joining the live stream this morning and participating too, I really appreciate it. And thanks also for the feedback, that makes me very happy that you found this interesting and useful. Looking forward to seeing you join the next episode!